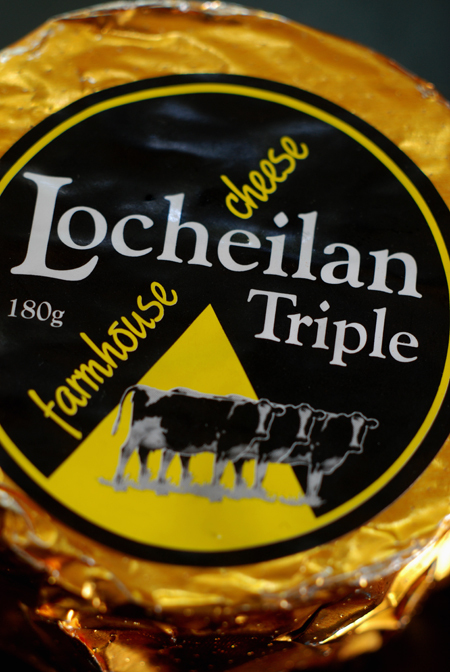 Locheilan Farmhouse Cheese is located in Wunghun about 200 kilometers north of Melbourne, not far from Shepparton. We've enjoyed quite a bit of their cheese in the past so it is quite surprising that I've yet to mention them on this site - so today I right that wrong with a decadent triple cream! 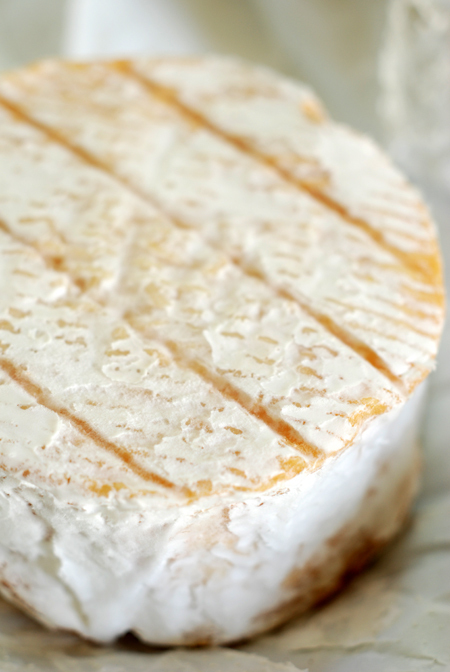 It has a washed rind character about it, in relation to the aroma and those hints of orange underneath the white mould. The milk all comes form their farm, a herd made up of mostly Friesians with some Jersey cross-breads. This cheese has about a month until it's BBD so it isn't yet showing those runny characteristics that come with a fully matured round. 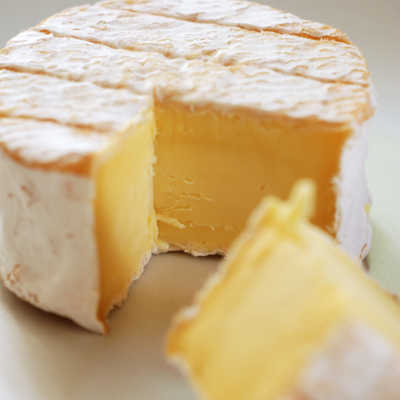 If you look inside the cheese you can see those changes starting, the internal core is lighter in colour. It's best to let the cheese come to room temperature - on a hot day that does not mean you allow it to get hot, please use a little common sense here. It will soften somewhat even at this stage and the flavours and aromas are much more pronouced. 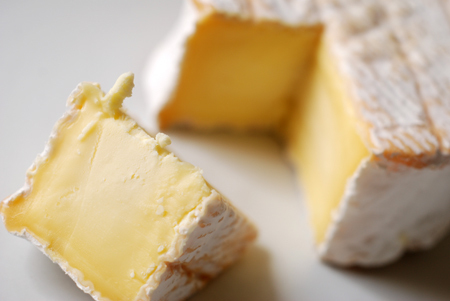 A triple cream will reward you with fabulous mouth feel - the rich,creamy flavour coating and filling your mouth.